Home Eldredge ATL Oprah double dips, Bob’s back and “Rudolph” returns! 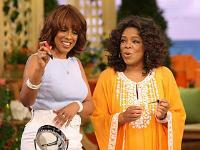 Oprah double dips, Bob’s back and “Rudolph” returns! After a long day spent introducing Atlantans to her “O You!” tour/brandwashing campaign last weekend with her devoted friends/employees at the Georgia World Congress Center downtown, Oprah Winfrey must have been positively famished. Winfrey was spotted breezing through the front doors of the Intercontinental hotel Saturday night with OWN TV buds Gayle King and Nate Berkus as they congratulated the talk show queen’s former personal chef Art Smith at his brand-new namesake restaurant Southern Art (we hear Oprah openly avoided the usual sneaky celeb backdoor entrance and exit approach and had only one member of her security team with her). FOO [Friend of Oprah] and Atlanta film and television studio mogul Tyler Perry later joined Winfrey and King for a private dinner around 9 p.m. at Canoe. We’re told Lady O ordered a well-deserved vodka and soda with just a splash of cranberry and enjoyed the beet salad and a single fried green tomato. King, meanwhile, sampled the kitchen’s African squash soup and artisan cheese salad. 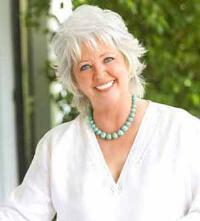 Food Network staple Paula Deen, meanwhile, doesn’t have to worry about O magazine fitness trainer Bob Greene scrutinizing every morsel she aims at her pie hole. When the Savannah chef dined on the patio at Davio’s Northern Italian Steakhouse at Phipps Plaza a few days ago, she enthusiastically ordered up the signature spring rolls, crispy chicken livers with a port balsamic glaze, a chopped salad and angel hair pasta with fresh basil and pomodoro sauce. Just when the nation’s downstairs neighbors were about to dial 911 as a Turner Classic Movies-addicted America rocked in a fetal position, banging its collective head on the floor (or maybe that’s just us. . .), the Atlanta-based film channel has announced the impending return of primetime host Robert Osborne to the airwaves December 1. As Osborne loyalists know, the Academy Awards historian took a leave of absence earlier this year to have some surgery. A sweater-clad Osborne is back in teaser spots now airing on TCM. Explaining the absence of his usual business suit work garb, a rested, smiling Osborne says, “I’m still on vacation” but cribbing a line from “Snow White and the Seven Dwarfs” he promises: “Heigh Ho, Heigh Ho, it’s back to work I go.” We hear to make Osborne’s life more comfortable, his Atlanta TCM bachelor pad set (down to the trademark red chairs) is being recreated in New York City so the host can remain in his home city at least initially as he returns to filming his hosting duties this month. Last year, the Phipps Plaza Santa had some red-hued holiday competition as the city’s most beloved Christmas tradition when the Center for Puppetry Arts’ entire run of “Rudolph the Red-Nosed Reindeer” promptly sold out. The production, directed by Jon Ludwig, is based on the 1964 stop-motion TV classic. This year, Ludwig and his puppeteers are dusting off that massive Abominable Snow Monster Bumble suit for a second seasonal run beginning Nov. 3. Despite the fact that you haven’t bought your Halloween candy yet, we would strongly advise securing your seats now. Last year, the show played to more than 29,000 patrons, including 110 school groups and more than 40 birthday celebrations. Go to www.puppet.org or call 404-873-3391.